To make it easier for consumers to find collision repair shops that adhere to exacting repair and refinishing standards, manufacturers have created networks of body shops that meet their specifications. We are certified with the biggest manufacturers, providing Aluminium Certification for all makes and models of cars and trucks through our Class A certification with the State of Rhode Island. 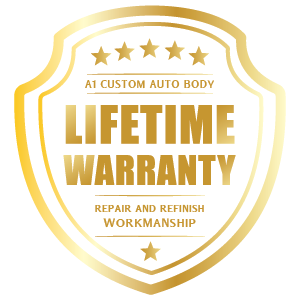 To be certified and recognized a collision shop must have the right tools, equipment, training and facilities to properly repair vehicles to the manufacturer’s specifications and provide a written lifetime warranty on workmanship. In addition to making it easy for consumers to find the best auto body repair shops, certification also provides important skill and safety benchmarks for shop owners and technicians and promotes a culture of learning that is required to succeed with continously evolving technology and equipment. 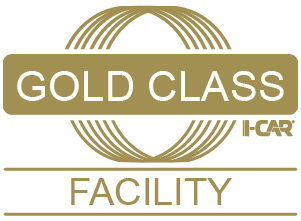 Our I-Car Gold Class facility and Platinum Class technicians ensures our ability to properly repair all cars and trucks on the road today, as well as vehicles that will meet the standards of tomorrow. While the increased use of aluminum is expected to improve the fuel efficiency and emissions of our cars and trucks, it also represents facility and worker safety challenges for collision repair shops. 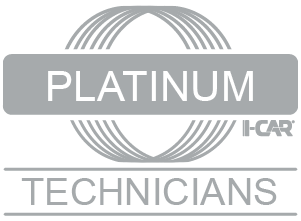 Our I-CAR Platinum Class technicians use manufacturer-specific required equipment and tools and are specially trained in the manufacturer recommended steps that ensure the integrity of your vehicle’s frame. Aluminium certification requires significant investments in equipment and training that are above and beyond general collision repair recoginition. Including welding machinery, and hand and power tools dedicated to aluminium repair and refinish. To isolate repairs on aluminium as well as a dedicated aluminum dust extraction system. Specialized I-CAR/manufacturer training in the repair and refinish of aluminum.